Bug Off! Although government health agencies claim that DEET-containing insect repellents are safe; there are many scientists and environmental watch dogs such as the Environmental Working Group that are concerned. 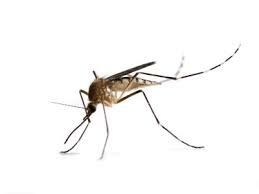 DEET has been shown to cause skin irritation, eye irritation, memory loss and neurological conditions such as seizures. So what are the natural alternatives? Soybean oil-based repellents have been shown to be as effective as DEET without the side effects. Citronella-containing insect repellents are the most popular on the market, but effects can last between 30 minutes to an hour. Today on Toronto’s Global News at Noon Show, I discussed natural alternatives to chemical-based insect repellents. Here is a recipe that honestly takes 2 minutes to make and absorbs really well into the skin, without a greasy feel. I recommend applying natural insect repellents more frequently in order to stay mosquito bite-free! Remember our skin, the largest organ, contains mini-mouths (aka pores) that very efficiently eats any and everything we put on it without filter. Contrast this to when we eat a meal; food and chemicals are processed by our organs (stomach, liver, small intestine etc.) before entering the blood stream. Put in a dark spray bottle, shake well and apply as needed.